What was your eighteenth birthday like? Mine was my first day of college: After four hours by car (we got lost), uncomfortable goodbyes, and eons of totally disorienting orientation activities, I went to a party and lost in beer pong, without hitting a cup, to two girls. I don't specifically recall how my teammate and I begged out of the naked lap but it wasn't a reprieve for my birthday—I made damn sure no one knew it was my birthday. Most of the specifics of that day happily escape me, but I'm sure they all sucked. 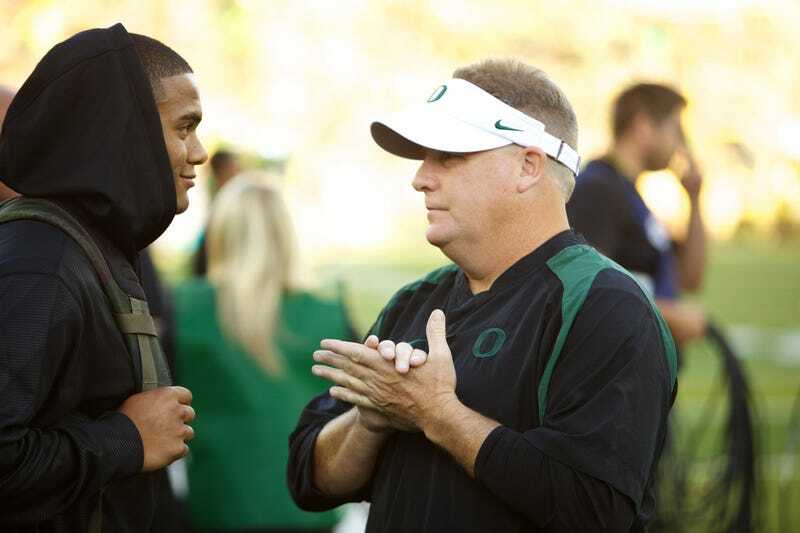 Thomas Tyner's was better: On his 18th birthday yesterday, he rushed for a state-record 643 yards and scored 10 touchdowns for Oregon's Aloha High in a victory over Lakeridge. It's not quite a national record (that goes to John Giannantonio of New Jersey, who ran for 754 yards in 1950, while second is Paul McCoy, who went for 661 in a 64-0 victory in 2006) but Tyner's third-place effort came in a relatively close game: Aloha lost their game against Lakeridge last year, and only won this time 84-63. It seems safe to say they would have been in trouble if not for Tyner's 10 touchdowns. Tyner had TD runs of 65, 62, 60 and 60 yards, and averaged about 17 yards per carry. He said in his post-game interview that he planned to celebrate by going straight to bed, which, yeah, sure. Somebody get that kid some Advil.